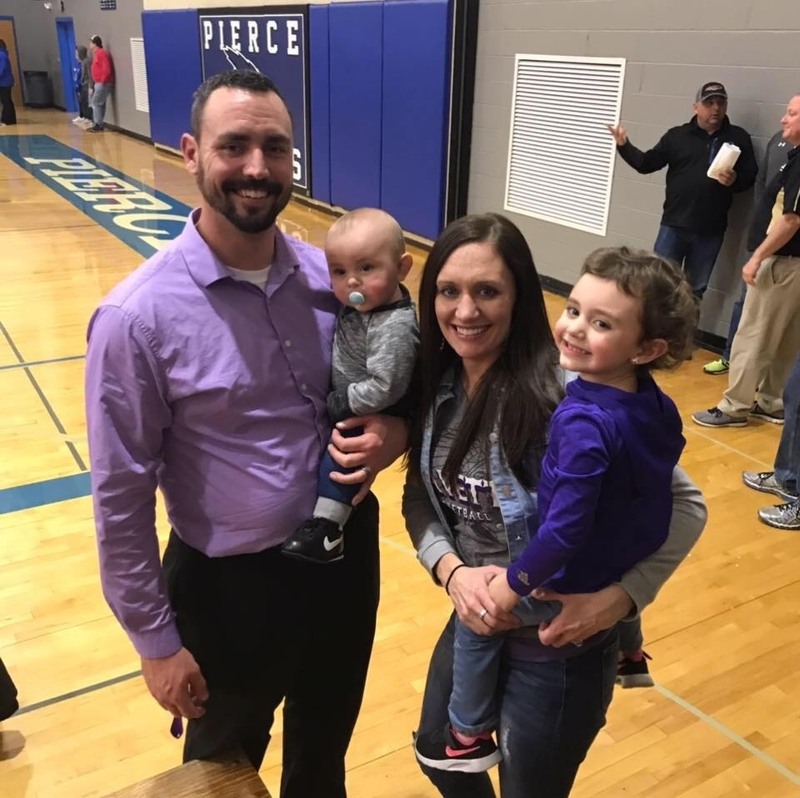 Battle Creek High School will be saying farewell to business instructor and coach Kyle Schmidt at the end of the school year as he is headed to Plainview Public Schools to serve as the 7-12 Principal starting next fall. Mr. Schmidt came to Battle Creek in August of 2011. He taught both business and physical education courses and was a three sport coach at the school. He has served as the defensive coordinator for the Braves football squad for the past eight years, he coached junior high basketball and junior track for two and eight seasons respectively. He served as the head girls basketball coach in Battle Creek for the past six years. Mr. Schmidt also coached baseball in Battle Creek for two years. Mr. Schmidt attended Concordia University in Seward, Nebraska, earning a bachelor's degree in education, with endorsements in business and physical education. He also played football for the Bulldogs. When asked to state what would be most difficult about leaving, Mr. Schmidt stated, “I will miss all the relationships created with my colleagues, the people in the community who have been my friends, and the students here at school.” He went on to state that Battle Creek is a great school and community, and this makes it very hard to leave. He also mentioned that he will always have great memories of his years here because he met his wife in Battle Creek and started both his career and his family in this community. Mr.Schmidt is most looking forward to the new opportunities and challenges that are ahead of him. He is excited to begin a new chapter in a new role. He looks forward to being responsible for scheduling, school improvement, staff development, and even student discipline. In addition, Mr. Schmidt will serve as Plainview’s head football coach, another role he cannot wait to take on. Mr. Schmidt leaves Battle Creek after making a huge impression on our school. He has developed wonderful relationships with both students and his peers and has served as a great role model. He always pushes for nothing but the best from his students, never allowing anyone to underestimate what they can achieve. He and his family will be greatly missed in Battle Creek.